For a while Wo. has taken us back to his early days when he discovered that piece of paper called 'Veronica Top 40' and found out that the music in it was broadcasted on the radio on Saturday afternoons. That music that he listened to on the radio were hits and golden oldies and tips. In this series he listened to the albums behind those hits. Albums that for the most he had never listened to before, with a few notable exceptions. 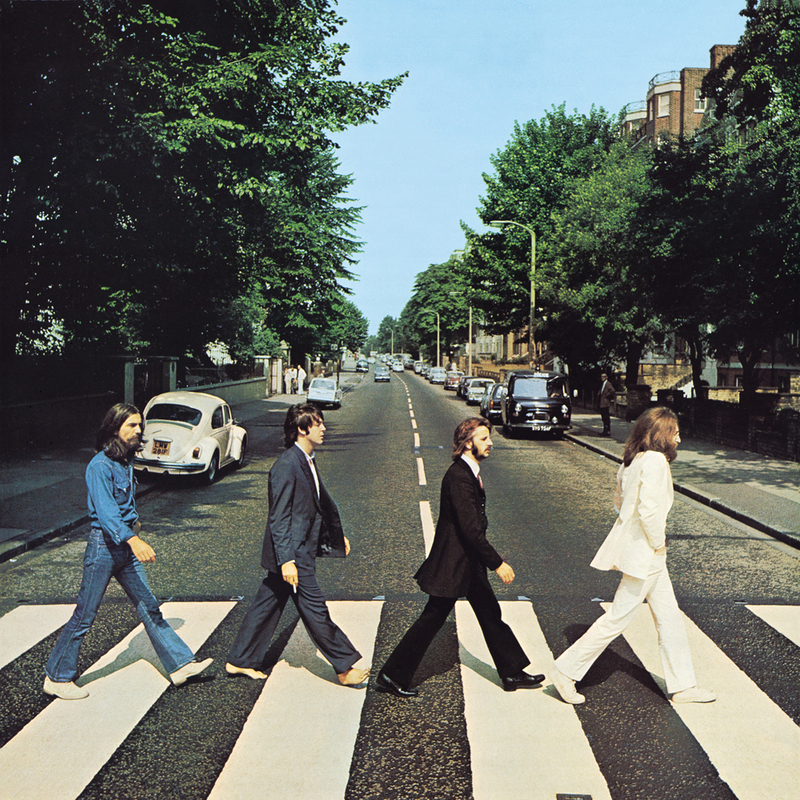 This time around a very noticeable exception: the final recorded The Beatles album, Abbey Road. Where to start on my favourite The Beatles album? Where to start on one of the best albums ever made? Let me take you back to the fall of 1969. In the fall of 1969 my life about to make a major change. From a city boy I was about to be transplanted to the country, to a village in the south. A village where it proved impossible to receive my favourite radio station! Where the Top 40 was something unknown. A disaster for someone who lived on listening to music on the radio. Just before that move, The Beatles released 'Come Together', there fourth single that year, and the second not to make the number 1 spot. It was a difficult single that I did not really get at the time. One of my friends, living in the apartment below us, had to older brothers. The eldest had bought 'Abbey Road', making it the first The Beatles album I was aware of being released. We all gathered in the living room for a listening session. I remember being distinctly disappointed, as I didn't know a single song beyond the first one and lost interest to listening fairly fast. Albums were not my thing at the time. Looking back, it was no surprise. I wasn't interested in 'A Hard Days Night' of 'Help' either at the time. I wonder whether Jan, the elder brother, still plays his 'Abbey Road' copy. I got mine in 1978 and play it to this day. 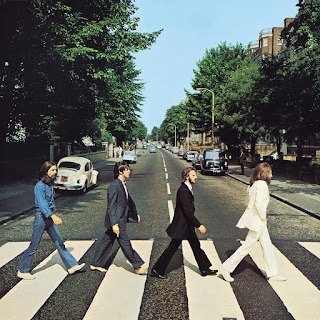 Abbey Road, I won't go into the story behind it here, as it so well known, is an amalgam of brilliant songs and starting to become songs, making up a sort of pop symphony. It starts with the only single of the album, 'Come Together', John Lennon's dive into blues and rock and roll in a very different way than the traditional one. This song is so much better than I was able to recognise in 1969. Just listen to what Ringo is doing and tell me that he isn't an extremely inventive drummer. The groove is fantastic, the timing great, the singing impeccable and then all these little extras in the guitar playing and electric piano then move in and out of the song. The form George Harrison reaches in 'Something' is one of the things that still make me sad that The Beatles broke up. What album would have been released in 1970 or 1971 after 'Let It Be'? The Beatles now had three fantastic songwriters instead of two. 'Something' should have been released as a single also right after 'Come Together'. It is beauty caught in music. 'Maxwell's Silver Hammer' is McCartney at his worst, but also funniest. As a point of interest, a modern sound at the time enters the song in the form of an early synthesizer. Still, the song is of the kind that it is excusable. There are not many artists that can get away with a droll song like this one. So in the end I have to admit that I simply like it a lot. 'Darling' is the song in which Sir Paul makes up immediately. (That The Beatles never sued 10CC for 'Donna', is still beyond me.) Where the despair and anger for this song come from is a fair question, as Paul was recently married to Linda Eastman. This desperate rock ballad is a good one. The lead guitar and the piano drive Paul on into a great singing performance. On top of that are the little aahh and oohs topping things off. Great song. Ringo is allowed to shine in the next song. His second contribution to The Beatles repertoire, 'Octopus' Garden'. His own take on a ride in the yellow submarine. The nice thing about this carnival ride kind of song is that the rest of the band does its best to make it a really good song. The harmonies, the guitars all make it a serious song, a worthy The Beatles song by the drummer. The weirdest, roughest The Beatles song is on the end of side one. John Lennon sings his lust for Yoko in the most direct form possible: "I want you". There's no beating around the bush, he goes for his goal in a very direct way. 'I Want You (She So Heavy)' is a dark song, as if not all is alright. The lead guitar is despondent, the Hammond organ crying out loud. The long coda brings things to a close, but whether to a good one it is anyone's guess. George Harrison's second contribution is at the same time another one of his best songs. 'Here Comes The Sun' is one of the most precious pop songs, with that beautiful lead guitar gliding progression. Harrison wasn't the best singer, but his nasal voice suits this song like a glove. His prowess in songwriting shows by the little twists the song takes. There's no need for a straightforward song if one can come up with these beautiful interludes. Next up is a keyboard that sort of reflects the riff of 'I Want You (She's So Heavy)'. Instead of that darkness, The Beatles come up with their best vocal performance. A classical composition is how I'd like to describe it. George Martin did some arranging around it, is my guess, but the song is nearly bare. The singing simply brings me to my knees each time I hear it. 'Because' is the start of a song cycle that moves from one fragment of a song into the other. All the fragments of songs that were lying around, couldn't be finished or whatever. Together they make one sliding movement towards the end, making it a sort of one composition until the very, very end, 'Her Majesty', which is set apart. Just before we reached that ominously called song 'The End', which proved to be the end. 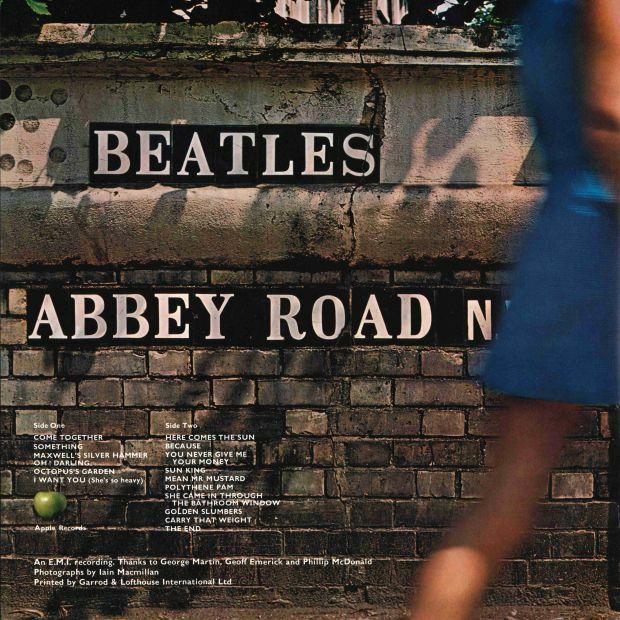 The second side of Abbey Road is The Beatles at the absolute top of its game. There's no need to call out the individual songs on side 2. From beginning to end it is simply brilliant, harmonies, arranging, melodies, individual performances, vocals, as if the five Beatles, including producer George Martin, put all their talent into this effort, balled into these 20 minutes. To make it beyond perfect. 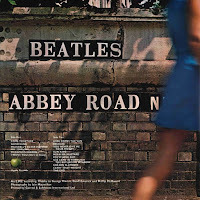 Side two of Abbey Road is the single best album side to date. There's no other word for it. After finishing Abbey Road The Beatles should have gone touring just like The Stones, but didn't. Our loss, but the Fab Four is caught in its prime forever. There's no decline for The Beatles, just for its individual members.